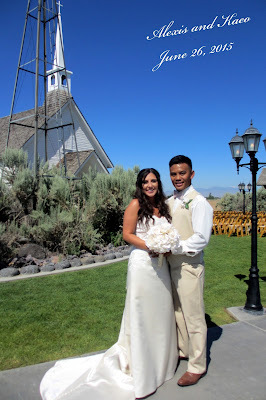 Together with their families, Alexis and Kaeo were married on a sunny afternoon at Still Water Hollow in Nampa, Idaho. The temperature was sizzling, but that didn't stop their guests from joining them for a beautiful wedding ceremony. Many of Kaeo's family members traveled from islands of Hawaii, and all sides of the family came together as Alexis and Kaeo were married. Thank you for allowing me to be a part of your wedding and blessings for many years of happiness and love to you all. Simply a beautiful wedding at Sawtooth Winery for Summer and Garrett Sweet. Every detail of the ceremony and reception was beautifully crafted by Team Sweet and it was my sincere pleasure working with this amazing couple. It was wonderful meeting Summer and Garrett's families and wedding party, plus working again with Laken from Laken Fulton Photography and Wedding Coordinator Raquel and DJ Brad from The Wedding Doctor, topped off the afternoon of wedding bliss. Congratulations and many beautiful sunsets Garrett and Summer! Allie and Josh were married on Saturday, June 13, 2015 on the slopes of Ste. Chapelle Winery. Their wedding was simply wonderful...witnessed by friends and family, and Marie and Mario. There weren't too many dry eyes during the ceremony, which made their vows even more special and meaningful. The best to you Allie and Josh on many blissful years together!